Our readers are chosen for their pleasant voices, good diction and broad range of higher education and experience. We have both men and women readers. They read clearly and understand what they’re reading to be able to pronounce correctly and place the proper emphasis. This helps to assure that you will enjoy and understand the information in the recording. Training is continuous and follows the high standards set by the National Library Service. Big words don’t scare us. 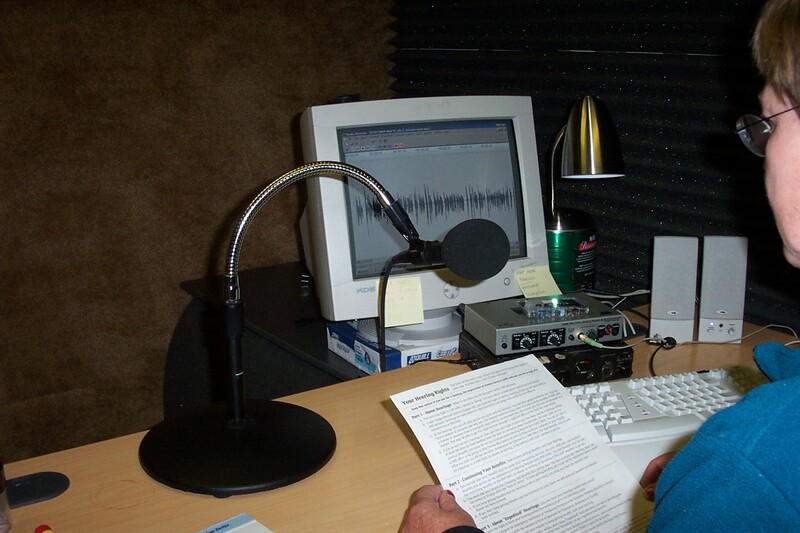 Our readers hold advanced degrees and have many years of experience in front of a microphone. Reading medical and legal terminology, scientific formulas, research statistics and advanced mathematics is part of our routine work. Audio can be combined with another format as in our college level calculus project for a student who couldn’t read braille. 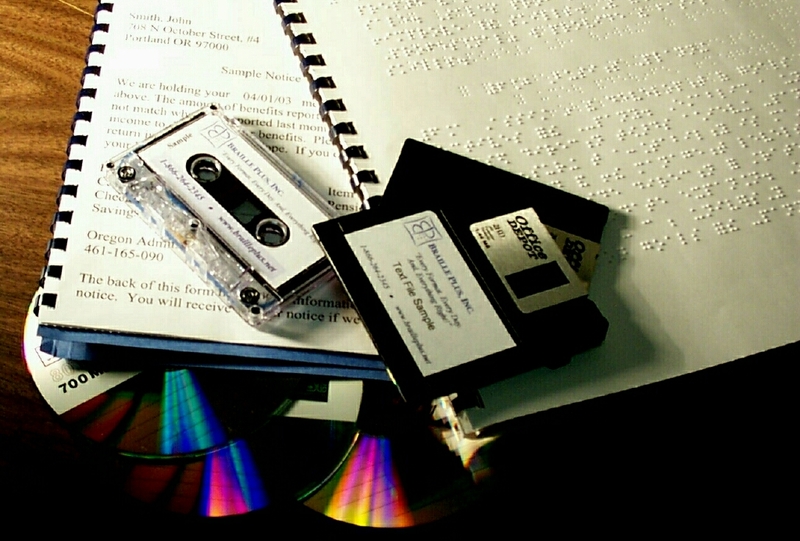 Text was read on tape and the specially-designed graphics were produced with our 3-D braille embosser. Customized notes to describe maps, charts, forms, etc. Noting any graphics, our readers review each document before reading even one word into the microphone. Special care is taken to write reader’s notes describing a map, a flow chart or a form with blank spaces to complete. 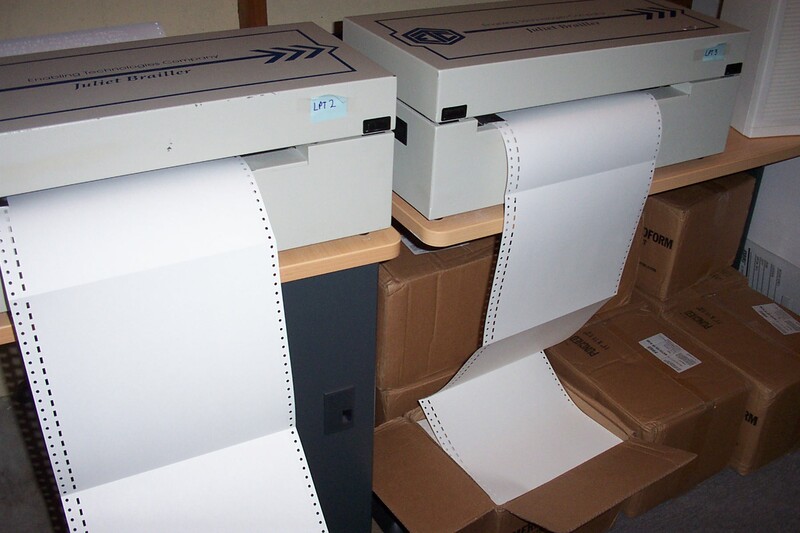 For example, as the exclusive supplier of alternate formats to the 2002 Winter Olympics, Braille Plus staff created volumes of notes to explain the multi-page chart of all the competitions and locations, the maps to the venues, and the arenas spread out around Salt Lake City, Utah. We use state-of-the-art digital recording and editing software as well as Marantz brand low-noise recorders. Recordings are made in specially-constructed studios with great attention paid to acoustics and the resulting sound quality of the recordings. Our expertise and digital equipment allows post-production enhancements to assure the highest quality sound without buzzing, ticks or extraneous noise. 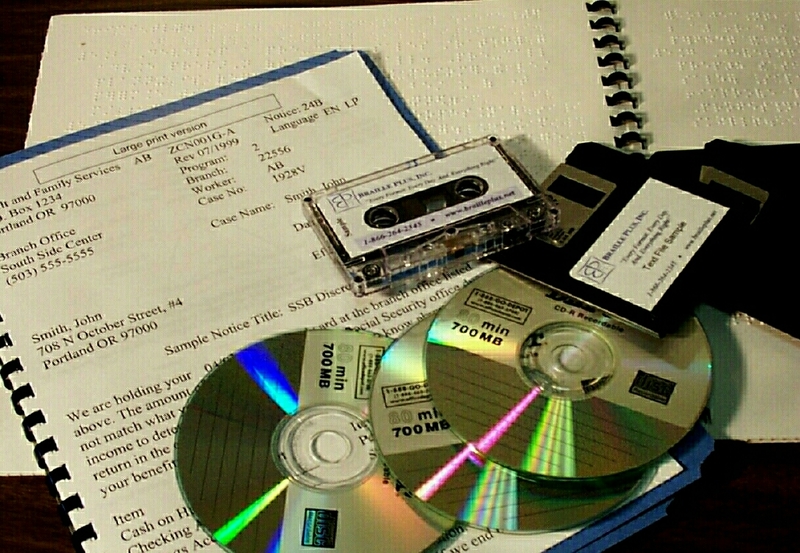 The final product can be exported in a WAV, mp3 or other types of audio files or transferred to CD or audio cassette. 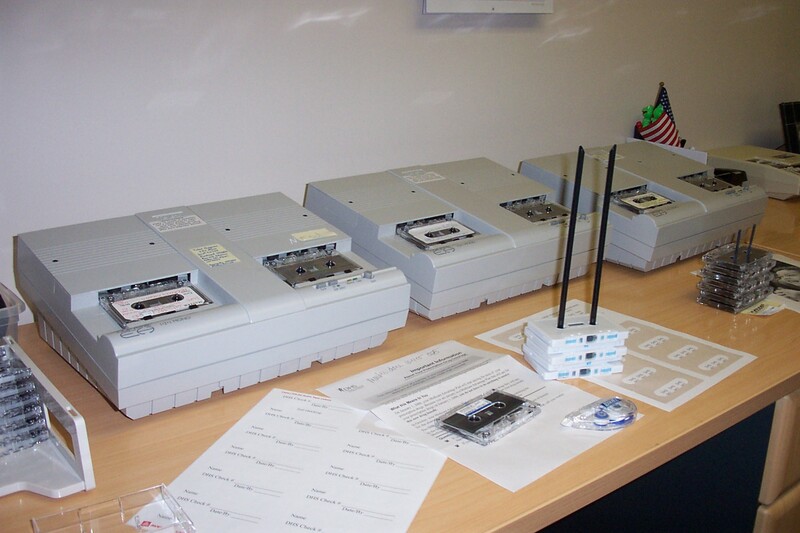 We can produce as few as one copy of a document or many multiples of it. 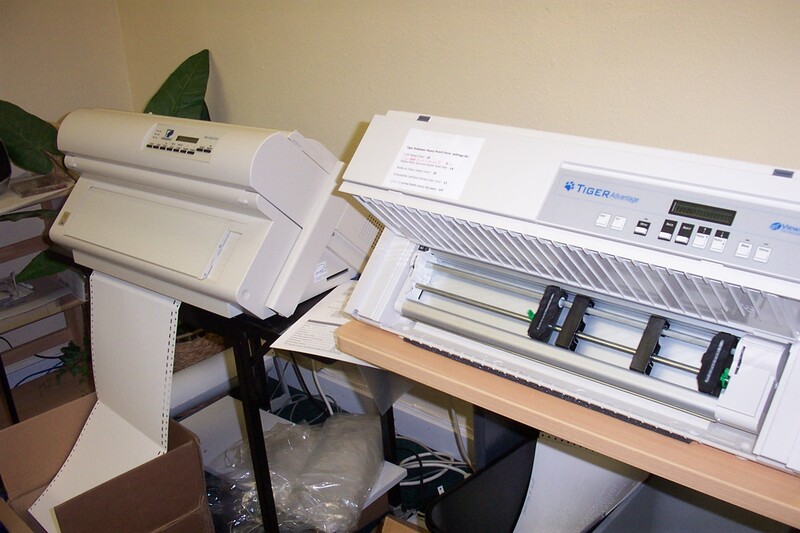 Our high-speed duplicating machines give us great flexibility in producing your order.